Mrs Yap, the lady boss of Hong Kong Jin Tian sent this to my phone. I left my phone number with her when I visited their stall at Ubi in Jun 2016. I got to know her when I went to their shop at Zion Road in August 2014 to do an article for Makansutra but that shop closed down later. 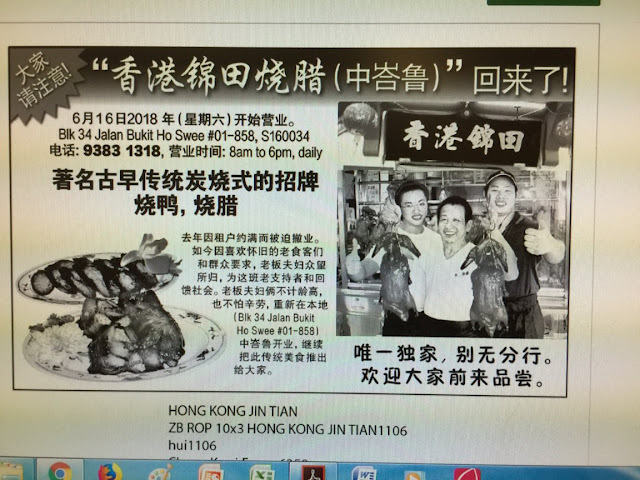 They used to be famous for their 鸭脚包 and hopefully that legendary dish is back on their menu too.